Guest blogger Robyn Bushong sets sail for Xiaman. Today is Palm Sunday, April 13th. Hard to believe Cynthia, my travel buddy, and I have been “home” on the Crystal Symphony now for three days. We sailed from Hong Kong’s Victoria Harbor late Thursday, evening, April 10th and had a welcome sea day on the 11th, followed by a whirlwind visit to Xiamen yesterday. When we first boarded—after our 3+ days of travel and non-stop marathon sightseeing tour of Hong Kong—we were welcomed like family and that’s exactly how we felt. Our embarkation was efficient, taking all of five minutes. 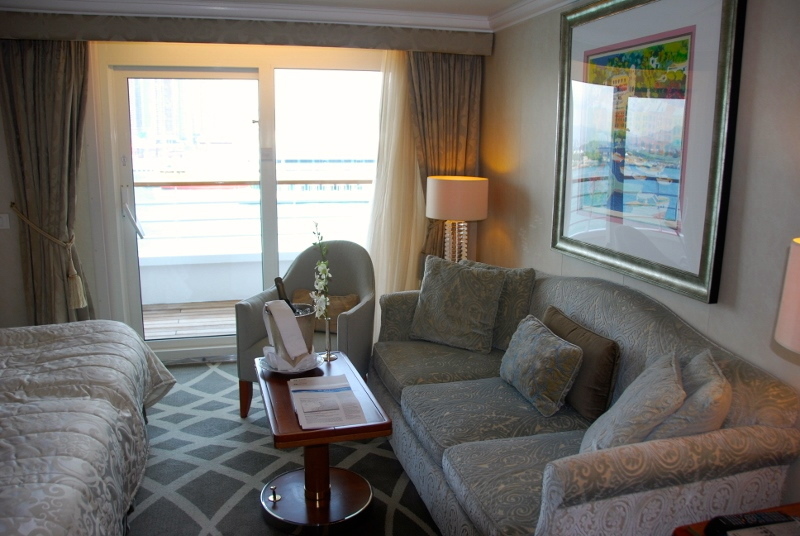 In our beautiful stateroom on the Penthouse Deck (Deck 10), we unpacked, met our Austrian butler, Rainer, and our cabin stewardess Monika. After a quick tour of the ship, we enjoyed a very light dinner and were early to bed. The first day of boarding, I couldn’t wait to get up to the Lido Café and sit in my favorite “spot,” a window table for two, where my dear friend Dorothy and I had sat for breakfast every day on our 13-day Trans Pacific cruise in December 2012. How nice that three of the dining room staff remembered us! Keeping with the routine from previous cruise, it was up to the gym and a good work out. What a nice surprise that Brian, the fitness director and spin instructor, remembered me, too. Friday was a sea day and everyone seemed glad to leave behind the hustle and bustle of Hong Kong and just relax. And what a superb place to relax—every amenity is at your fingertips. The service is superb but unobtrusive. 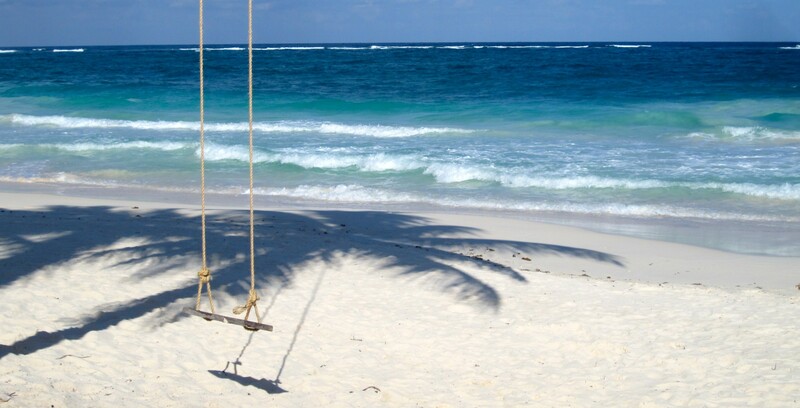 The staff prides themselves on making you feel as if you are the ONLY guest onboard. It’s hard to describe: atmosphere is casual but classy. 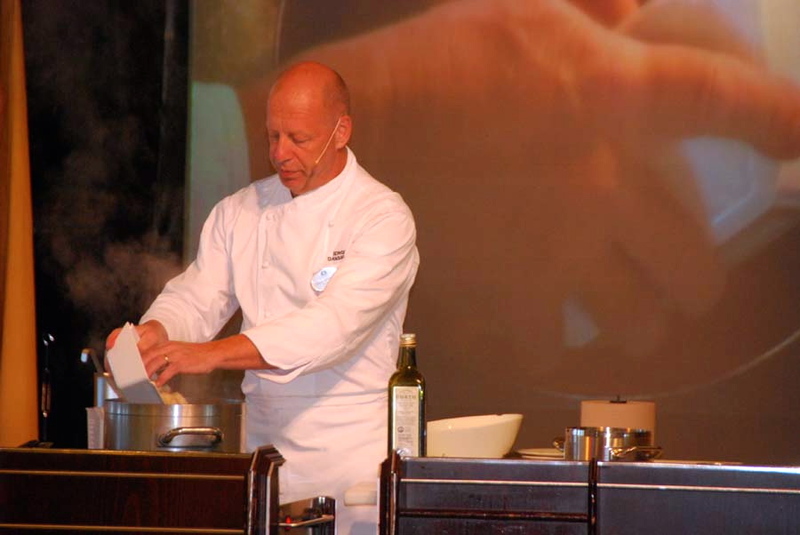 The food, in all venues, is exceptionally good with great variety and selections. Housekeeping-– some of the very best you could ever expect to find anywhere. I think one of the best ways to describe the relaxed ambience on this gorgeous sunny, breezy day was to watch the guests stretched out on lounge chairs, their favorite beverage at their side, book in their hand and they’re half asleep and half reading. All the while listening to a great sextet at the pool playing Santana-style music. Saturday we docked in Xiamen. 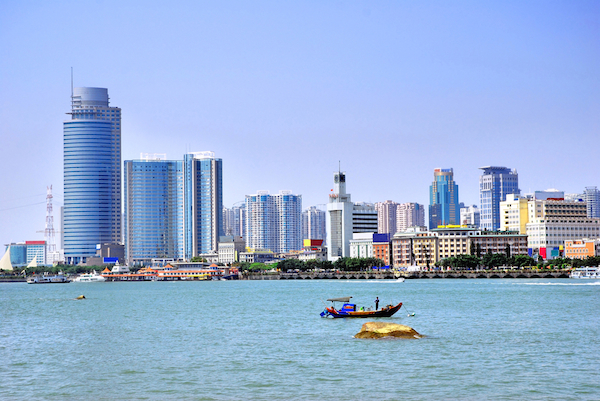 Also known as the “Pearl on the Sea”, Xiamen is a gorgeous tropical seaport that is also the second largest city in China with a population of 3 ½ million. Other than Victoria, BC, I don’t recall EVER seeing so many tree-lined esplanades, a kaleidoscope of color at every corner and a park every 500 meters. Unbelievably beautiful! My observation of sanity with traffic and pedestrians in Hong Kong was just the opposite here. The traffic on this Saturday morning was beyond indescribable. No sooner had we boarded our motor coach for a 4-hour tour, and we knew we were in for a wild ride. Our driver was fearless. Everyone jaywalked; pedestrians competed with giant buses for the right of way and bedlam ensued. A delightful young lady, a graduate of Xiamen University, conducted our tour. We’d read in our daily bulletin that our guides would be university students with limited English. This young lady, whose English name was “Theona,” gave 110% to making our tour interesting. 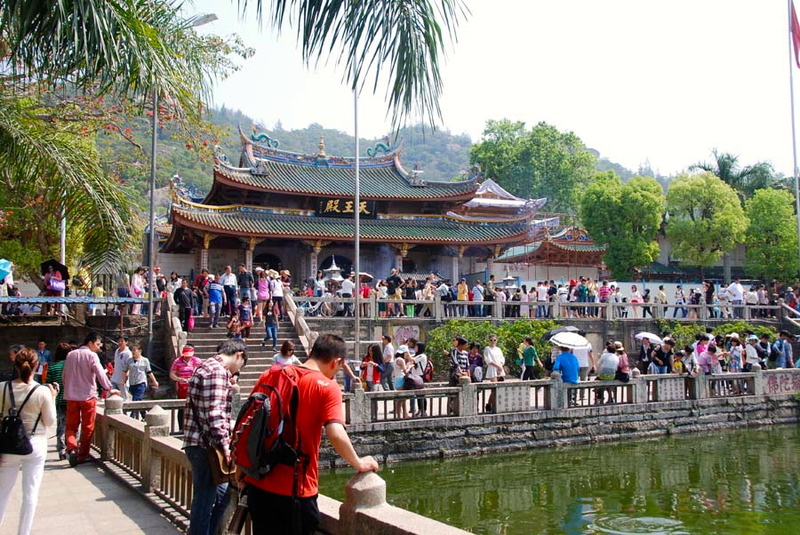 The problem was that with thousands and thousands and THOUSANDS of visitors at our first stop—The South Putuo Temple—that we just had to observe, as it was impossible to hear. I don’t ever remember there being so many people in one place as at this temple. 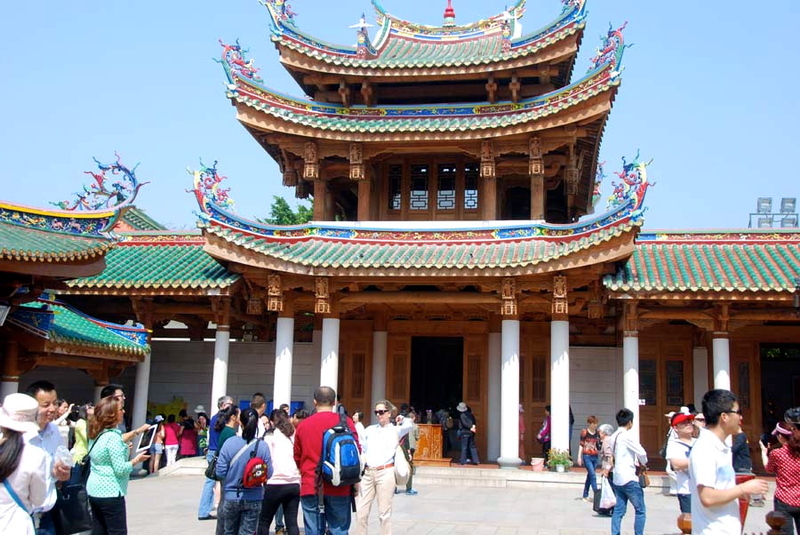 (It’s interesting to note that South Putuo, or Nanputuo, is a very famous Buddhist temple founded in the Tang Dynasty (618-907.) Of the many beautiful temples in Xiamen, this is by far the most famous. It is so named because it is south of the Buddhist holy site Mount Putuo in Zhejiang Province. Afterward, we visited the Overseas Chinese Museum. This 3-level museum, filled with over 15,000 artifacts, highlights the history and happenings of Chinese who went abroad to work and live. One of the most interesting accounts is of those Chinese immigrants who made a major contribution to the US’s Transcontinental Railroad in the mid 1800s. (These immigrants worked long hours in severe conditions for minimal pay to help build the tracks across 1,800 miles of arid plains and deserts and the rugged granite walls of the Sierra Nevada and Rocky Mountains.) Only suggestion: it would have been so helpful to English-speaking visitors to have had access to a brochure in English, since several of the major exhibits related to these immigrants’ lives in both the USA and Canada. Our tour concluded with a tea-tasting ceremony of five different varieties for our group of 34 at a government-run teahouse. Once back on board, our busy day in Xiamen concluded with a concert in the Galaxy Lounge by internationally acclaimed pianist, Tian Jiang. Outstanding. The next day was foggy and extremely windy. In fact, the promenade deck doors were blocked for exiting outside because of the wind. A plethora of cultural enrichment opportunities, ranging from a hands-on cooking demonstration by a guest chef in the Starlite lounge, to a fitness Boot Camp, to “Movie Editing Made Easy” where you can learn “iMovie Basics Part 1” on your iPad, highlighted the ship’s activities options. Today’s lecture by World Affairs Lecturer, Sir James Hodge discussing “China Today; the Giant Awakens” was mesmerizing.” Highlights of his talk: “China can now produce more in two weeks than it used to produce in a year.” Currently 18 million Chinese belong to the Communist Party, with 20 million wanting to join each year. Pork is the preferred meat. There are over 600,000 different villages in the country, 55 recognized ethnic minorities within 110 million inhabitants and 300 local dialects!” And that’s just the beginning of what I learned in an hour. This entry was posted in Travel Agents, Uncategorized and tagged cruising, Crystal Cruises, Crystal Symphony, Nanputuo, Overseas Chinese Museum, robyn bushong, South Putuo Temple, Travel, Travel Agents, Xiamen on April 24, 2014 by portsarecalling.